Abstract: In the era of electronic biomedical data, it is possible to efficiently and accurately examine the processes and outcomes of care to improve the quality of healthcare delivery. To move towards a learning health care system, clinical care should learn from all available data regarding a patient and their episode of care. I will discuss methods that leverage the abundant amount of information routinely captured in electronic medical records, including unstructured text, to develop rich clinical cohorts that advance clinical practice, research, and education. I will discuss use-cases that employ our methods for patient-centered outcomes research, comparative-effectiveness research, building predictive models, and identifying patient cohorts for personalized treatment pathways. The application of such methodologies opens opportunities for an interdisciplinary approach to improve healthcare delivery. 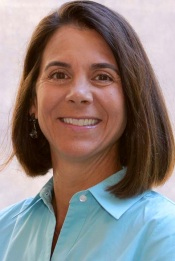 Bio: Dr Hernandez-Boussard is an Associate Professor in Medicine (Biomedical Informatics), Biomedical Data Science, and Surgery at the Stanford University School of Medicine. Dr. Hernandez-Boussard’s background and expertise is in the field of computational biology, with concentration on accountability measures, population health, and health policy. A key focus of her research is the application of novel methods and tools to large clinical datasets for hypothesis generation, comparative effectiveness research, and the evaluation of quality healthcare delivery.